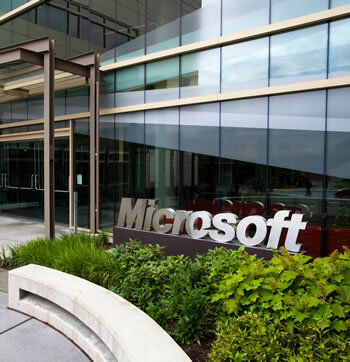 Microsoft has lost its appeal against a fine imposed by the European Commission in 2008 for breaking antitrust laws. The case dates back to 1998 but it wasn’t until 2004 that the software giant was fined €497 million and ordered to allow competitors' products to interface properly with Microsoft's server software. It was penalized another €280.5 million for noncompliance in 2006, and then another €899 million in 2008. Although the General Court, the second highest tribunal in the European Union, rejected a plea by Microsoft to dismiss the latest fine, it did find that regulators at the European Commission had miscalculated the amount and ordered a reduction of 39 million euros to €860. Counting the two earlier fines this case has wound up costing Microsoft a grand total of € 1.64 billion. According to LA Times, that’s the most ever resulting from a single antitrust case in Europe, though in 2009 Intel was hit with the largest single fine when it was ordered to pay €1.06 billion for offering kickbacks to manufacturers and retailers to favor its products over rival AMD’s. Intel is still appealing that decision. Microsoft may still make one final appeal of the ruling to the European Court of Justice, but beyond expressing disappointment at the verdict the company hasn’t said if it will take that route. Outside of this case Microsoft has no active outstanding quarrels with European regulators. In 2009, Microsoft entered into a broad understanding with the Commission that resolved its competition law concerns, most notably the inclusion of Internet Explorer on all Windows PCs. Microsoft agreed to instead offer customers the option to choose from among 12 browsers via a browser ballot. Ironically, now it’s Microsoft the one asking EU regulators to investigate Google over anticompetitive practices. The company claims Google is demanding unreasonable fees to license its technologies, and abuses its market position to promote its own businesses in search results at the expense of competitors.